We know how important it is for your projects to be confidential. Links to Axure Share projects are given random 6 character codes and can also be individually password protected. Additional security settings to ensure SSL or limit URL access to only invited members of a workspace are also available. RP files and generated projects are stored on Amazon S3 servers. Only Amazon and a few people at Axure have access to those files. Axure Share accounts are password protected and links to the generated projects are optionally password protected. You can set your project's password when publishing or by going to the project settings in Axure Share. 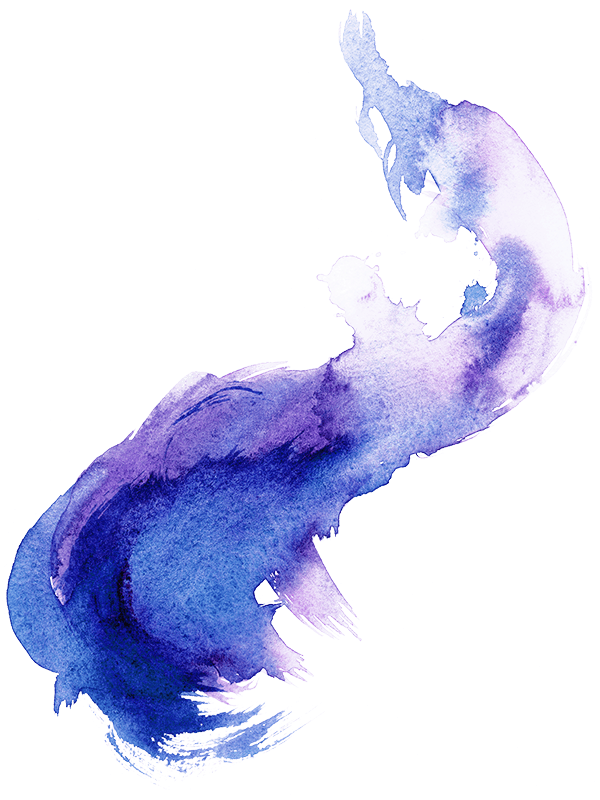 Links to the generated projects are given a random 6 character code. RP files are only available by logging into your Axure Share account. To access these additional workspace security settings, click "Configure Security" at the far right of the workspace's interface. 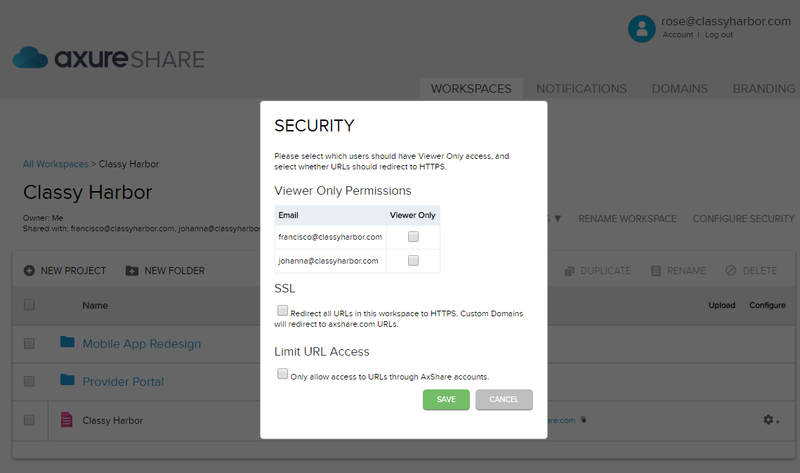 Viewer Only Permissions: Members of a workspace set to Viewer Only cannot download or edit projects within the workspace. They can only view the generated projects. SSL: You can force all project URLs within a workspace to use https. Note that any projects setup with custom domains need to be redirected to Axure Share.com URLs to ensure SSL. Limit URL Access: By default project URLs are available without logging into an Axure Share account. 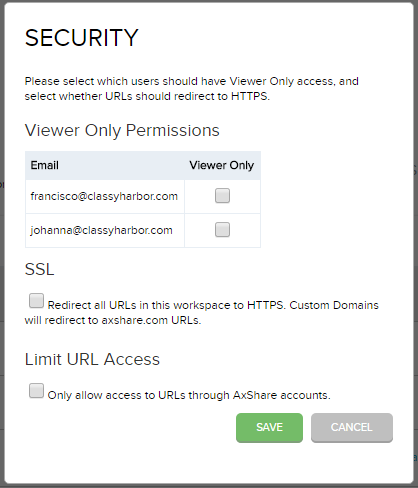 This option prevents anyone from viewing a project URL unless the person is logged into Axure Share and is a member of the workspace.